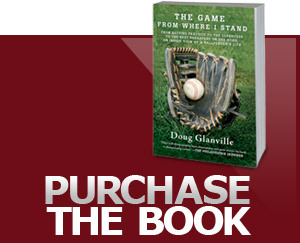 Doug Glanville on baseball, its controversies and its lessons for life. Doug Glanville delivers motivational speaking engagements about life that captivate audiences from ages 10 to 110. His magic and inspiration in connecting with people in a comprehensive way is powerful as Doug brings the high-performance sport of baseball home to each of us in our daily lives. He gives everyone a sense of great possibility, not just the guy who was blessed with the rocket arm or the guy who is willing to take a cocktail of drugs to win at all costs. His message is not only universal but impactful. He will touch your soul. Entering the Drug Matrix - Do you choose the Blue or the Red Pill? Each of Doug’s speaking engagements is quoted based on the specific project involved. Please call or email for more information.